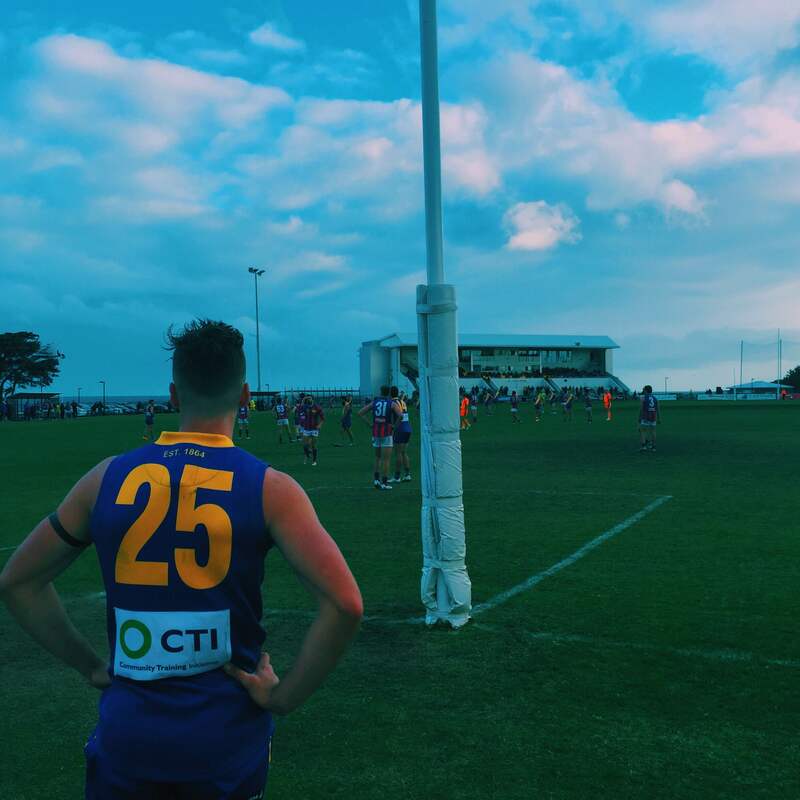 The Williamstown Seagulls fell to Port Melbourne on Sunday by two points. Despite the loss to their biggest rival, all is not lost. After the first month of VFL action the Seagulls top the ladder on percentage and will go a game clear with a victory over local rivals Werribee on Sunday afternoon. Let’s not mistake Port Melbourne for something they aren’t. They are one of the best sides in the competition and they showed that when it counted on Sunday afternoon. The home side were unable to capitalise on the howling breeze in the 4th quarter, kicking just 2.5, while Port kicked three straight goals to hang on for the victory, but for the Borough it was more than kicking that got them across the line. Gary Ayers, coaching in his 150th game pulled no punches at the final change telling his side that to secure victory they needed to find the boundary frequently in the final quarter. They did, coming away with four points as a result. Outside of sitting atop the standings how can this loss be spun as a positive for the Seagulls? Sam Dunell finding his feet – A four goal afternoon with three coming in the second quarter is further evidence that Dunell is fitting in nicely with his new side. He’s also been vocal in the quarter time and three quarter time huddles, showing his leadership capabilities. Clearance struggles – Sixteen behinds doesn’t make for great reading. Port Melbourne struggling to get the ball out of their defensive 50 from the majority of kick-ins does. The technique employed by Andy Collins is simple, spoil and spoil often. This leads to repeated score opportunities which will inevitably win games. Possession – Eight players with more than 15 touches – Ben Jolley with his fourth 20+ possession game of the season. Effective entries – 46 inside 50s (30 for scoring shots) compared to 55 inside 50s for Port (22 for scoring shots). Fueling the fire – There is nothing worse than taking on a team who are coming off an agonising loss (See Melbourne and Sydney from last Saturday night). Seagulls fans get a trip to Werribee this weekend, a club with whom there is a spiteful history, with a merger threat in the mid 1990’s bringing the rivalry to boiling point. The Tigers should be wary of what they are going to face this week.